The internet is a pretty amazing place. Like academia, there is a lot of kudos associated with being referenced a lot. Much like earlier seasons of the Simpsons, and iconic moments in iconic movies, there are certain internet *memes* which have become referenced in a similar way. Some are very old, some are quite new. On this page, I will attempt to collect the most important ones and link the original source. I have tried to vaguely categorize these. Any suggestions for additions are welcome. The homestar runner cartoons have been around for a long time; since 1996 in fact. 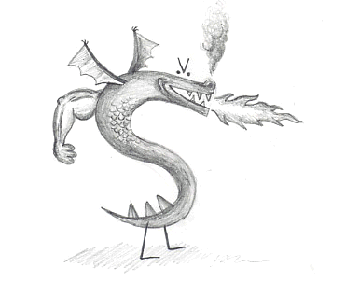 Trogdor and his “burninating” of the countryside and peasants is by far the most well-known and oft-quoted of all of the material on the website. The comedy is absurd and random and there isn’t really a storyline, but this very large internet in-joke has spawned numerous games, t-shirts, and other miscellaneous merchandise. In this video, a man with a ridiculous accent describes an end of the world scenario involving global thermonuclear war. Various commonly-quoted lines from this video include “hokay, so…”, “I am le tired”, and “wtf mate” among many others. Many small details complete the joke. 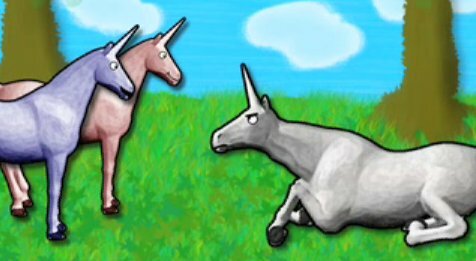 This video is about, you guessed it, Charlie the Unicorn. Charlie’s friends visit him and convince him to go on an adventure to the fabled Candy Mountain with the help of a magical Liopleurodon. While slightly annoying at first, the comedy genius in this video comes from the timing and general absurdity of the whole situation. 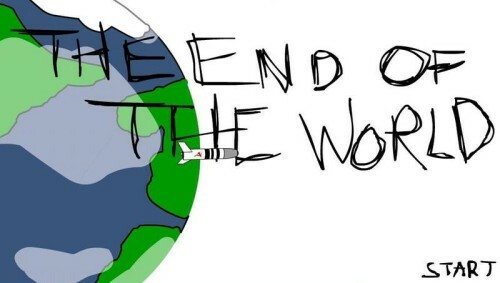 The ending is also great. 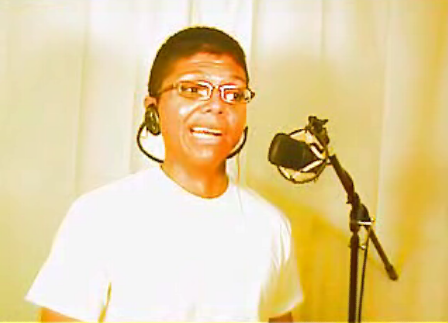 Tay Zonday’s song and accompanying video is a well-known viral youtube video from 2007. The initial spread was likely due to activity on the 4chan boards. His unusual voice and lyrics (the song is actually about racism) are noteworthy, but the subtitled “**I move away from the mic to breathe in” is probably the most-referenced part of the video. This is one of the most outwardly and overtly homosexual videos you may ever see. Corny lyrics which make subtle (and not-so-subtle) references to homosexuality along with some interesting dancing and “special” effects contribute to the ambiance of the video. When describing “camp” behaviour, it has become common to use “a scale from 1 to what-what” to measure the relative strength and overtness of the behaviour. TED.com is the website of the TED conferences. TED is short for Technology, Engineering, Design, and has the tagline “ideas worth spreading”. Originally intended as a technology-focused conference, the scope of the conference presentations has expanded greatly to encompass a very broad range of topics. I was first made aware of the famed “TED talks” when a friend sent me the link to Hans Rosling’s famous talk on global health and international development using statistics presentation software that makes the numbers more easy to visualize. If you plan on visiting the TED website and have even the slightest inkling of a thirst for knowledge, make sure you have a lot of spare time because it is easy to get lost in the site and watch presentation after presentation. It is no secret that one of my life-goals is to one day give a talk at the TED conference (because it sure as hell beats paying several thousand dollars just to attend). 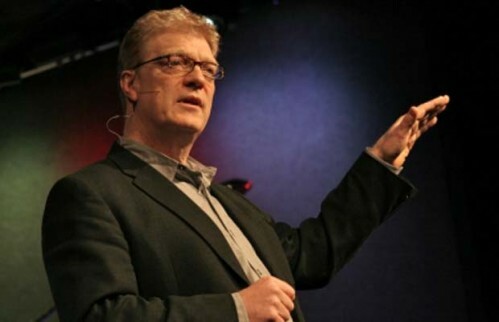 I have linked two of my favourites below; Hans Rosling’s talk, as well as Ken Robinson’s on education which both came out of the 2006 conference. Just as a note, you can often tell how popular any particular talk is by how many languages the subtitles are available in; these are available in 37, and 42 languages respectively (as of writing) can you even name 42 different languages? 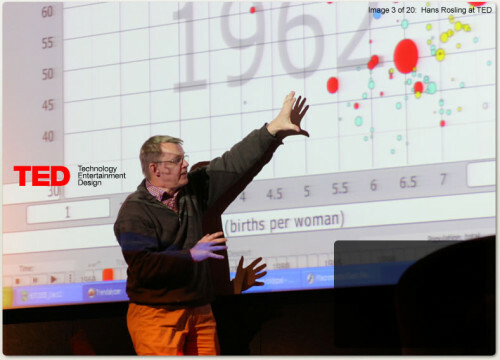 There are many presentations by Professor Rosling, but this one is the original and best. Be sure to check up the follow-ups which are also quite good. Here Sir Ken tells us that schools kill creativity, which is very true, the follow-up video to it, posted just last month, is also very good. Luckily for me, I spent most of my time at school either daydreaming or at a “music lesson” (too bad I’m not very creative). I’ve been waiting for something like this for a while. Our minds are not very well-wired to be numerically literate. They’re designed well for being able to compare two quantities as far as knowing whether one is larger than the other, they’re not so great at determining relative differences in scale. There’s a wonderful display at the north side of the American Museum of Natural History in New York which shows scaled models of things like planets and atoms to give people a feel for relative scale. 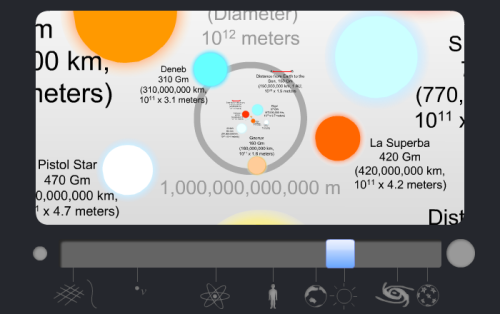 This flash animation goes one better by showing in a very intuitive way the relative scale of things from subatomic particles all the way up to galaxies. Anyone reading this website who is older than 2 will have been affected in some way by the credit blowup of late 2008. What actually happened? It’s a little complicated. Whatever you do, don’t listen to Rush Limbaugh or Glenn Beck’s explanation of it, because they are so far off the mark as to be criminal (yes, they should be criminally prosecuted for passing off false information of this nature as true). This guy made the video as part of a thesis project, and it’s very good. Someday, I want to make animations as good as this.